Tick season is already beginning for those experiencing warm spring weather. They promise to be particularly nasty this spring and summer, so it’s best to get prepared. Your horse is depending on you to protect him from those creepy, crawling pests. Ticks can transmit life-threatening diseases to your horse. Don’t take the risk! Ticks are found all across the United States. They include types like the American Dog Tick, Deer Tick, Pacific Coast Tick, Lone Star Tick, among others. These pesky critters can give your horse diseases, such as Lyme disease, Colorado Tick Fever, Spotted Fever, Tularemia, and others. It is essential to control populations through proper barn and field management. Barn owners can mow and remove brush. 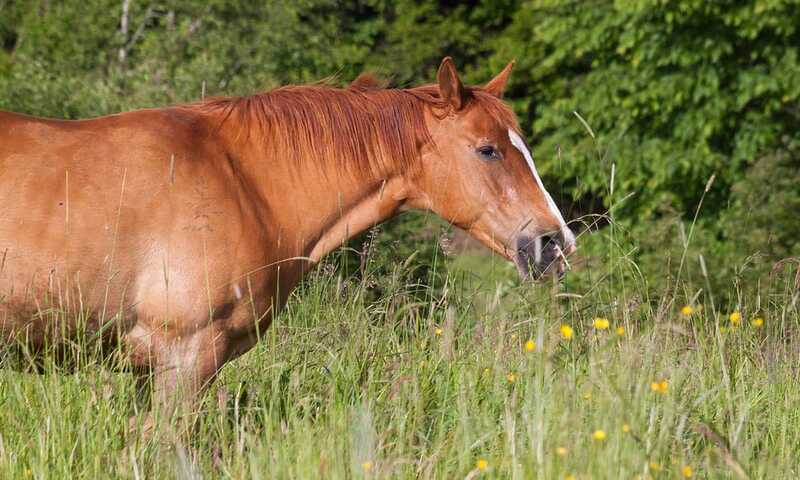 It might be wise to keep horses out of wooded acres during certain seasons. If numbers are very great, it might be time to apply an insecticide spray to slim down the population. Products that can be sprayed or wiped directly onto the horse’s skin can be helpful. Make sure the item specifically says that it repels ticks. During grooming sessions, carefully scan over your horse’s body. If you notice one, use tweezers to remove it from the head where it enters the skin. Gently and steadily pull it out, rather than yanking it. Ticks can be disposed of in rubbing alcohol. Keep your horse safe by cleaning up your fields and looking into repellant products. You’ll be glad you did!